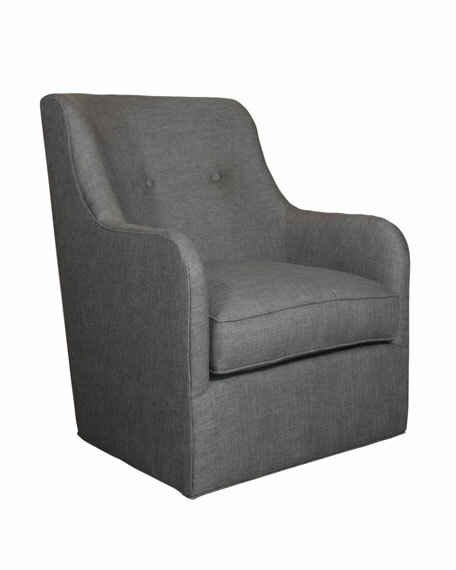 This chair has it allthe freedom of swivel mobility, comfortable seating, and bit of tufting on the back. 30"W x 35.5"D x 38.5"T with 22.5"W x 24"D x 18"T seat. Boxed weight, approximately 74 lbs.